At Urgent 9, we feel deeply that the Glendale community is the beating heart that keeps our practice going. The people who walk through our doors are our extended family; they’re our soccer coaches, our baristas, our teachers, and our neighbors. Urgent 9 exists to protect and heal this community that we live in and love so much, and every decision we make as a medical practice stems from that belief. At Urgent 9, we’re trying something a little different. Instead of the usual over-billing, confusing red tape, and bloated deductibles that have infected the health care industry’s status quo, we have switched to a cash-based, direct payment model. Don’t worry — our pricing is significantly cheaper than what you’d end up paying a lot of times even with insurance. You can use our medical calculator to figure out exactly what a visit might cost. Go ahead, give it a try! About Dr. Manuel Momjian, M.D. Dr. Momjian is a fixture of the Glendale community, having treated patients here for years. 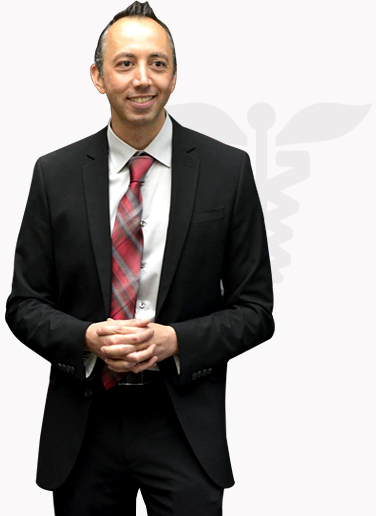 His area of expertise is Family Medicine, with an emphasis on a compassionate style of care that also leverages the latest technology and equipment. He founded Urgent 9 with the goal of providing Glendale with an alternative to expensive emergency room visits and unwieldy insurance billing practices.